Does he have plenty of raw skill and talent? Absolutely. But when is it no longer acceptable to hide behind his immaturity and seemingly callous disregard for teammates, coaches, and opposition? Mario Balotelli isn't a teenager anymore, and he needs to stop acting like one. The open rebuffs of former coaches, the constant fighting with teammates, and the wagging of his proverbial finger towards his own supporters has shown Mario Balotelli in an unflattering light. Not to mention several reckless challenges and outbursts against opposition that has seemingly been unprovoked. It's not that Mario Balotelli isn't talented, but as we have learned at this level on the biggest stage, talent simply is not enough. A world-class footballer must have talent, vision, the ability to show up when it matters most, and the adeptness to know how to keep a cool head. Super Mario might already have nine trophies to his name, but he is far from a leader on and off the pitch. His antics have ranged from the bizarre, to the completely unacceptable at times. 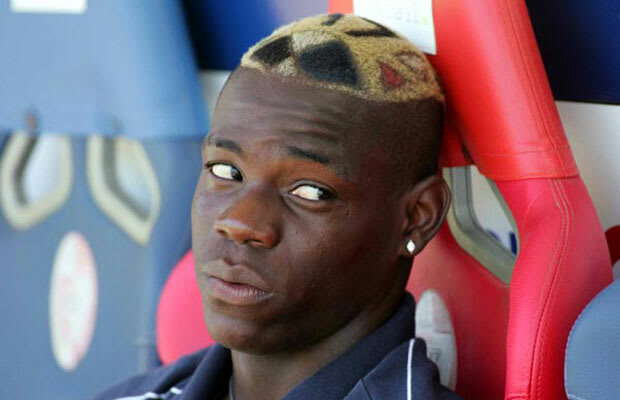 Until he grows up and begins to understand his potential, and take responsibility, Mario Balotelli will remain a jackass.